One striking observation on my voyage through the vineyards on the Amalfi Coast for my online wine series ‘The Grape Press’, was the wonderful proportion of winemakers that are a woman. Half of the vineyards I selected for the series in this region, were run by women, producing powerful, top quality wines. From the very beginning, starting with Madame Cliquot, women have had a rough time of it. As respected wine writer Richard Eisling points out, rather than operate under her own name when her husband died in 1805, she had to carry on as ‘The Widow Cliquot’. However, this does not detract from the fact that she was the first woman to run a major Champagne house and set a precedent for women working in wine. 200 years later, the industry worldwide is still largely male dominated, clearly reflected in the Americas chapter of the Court of Master Sommeliers. Of the 149 professionals that have been awarded the title of Master Sommelier since the organization began, 125 are men and only 24 are women. The Wallstreet Journal reported a study highlighting the statistics that only 10% of California’s winemakers in the areas where 90% of the US’s wine is produced were female. Over the last 15 years attitudes are changing and women are now accepted in influential and challenging positions in the world of wine. Therefore, it is extremely important to celebrate women’s achievements and successes within the industry rather than merely focusing on the hardships they face. Let me introduce you to 5 incredible female winemakers of the Amlfi who are making exceptional wine and championing equality in the work place. 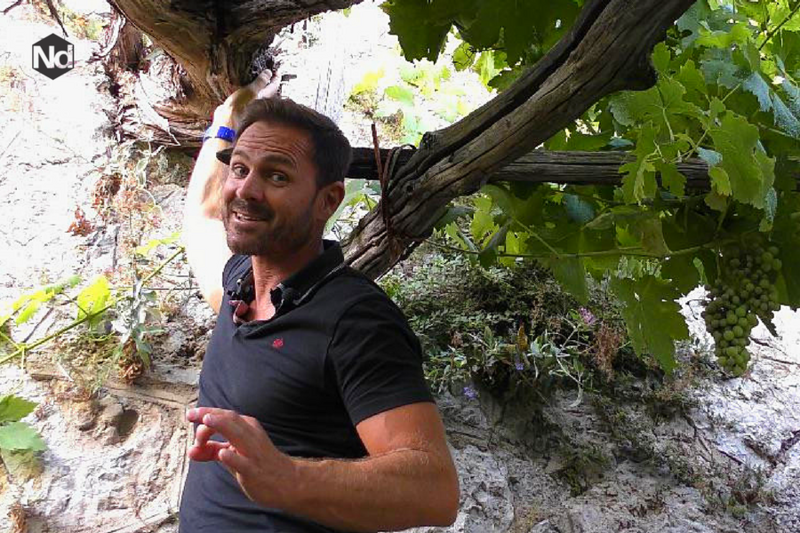 One my favourite vineyard’s that I filmed at during the making of the series was Le Vigne Di Raito. Sitting pretty at 250 metres above sea level this vineyard offers some of the most breathtaking views of the Amalfi Coast. Founded in 2001 by winemaker Patrizia Malanga this rather special 2-hectare concern was literally carved out of the rock-face using her own two hands. The first harvest was in 2007 and today she produces over 6,000 bottles every single year. 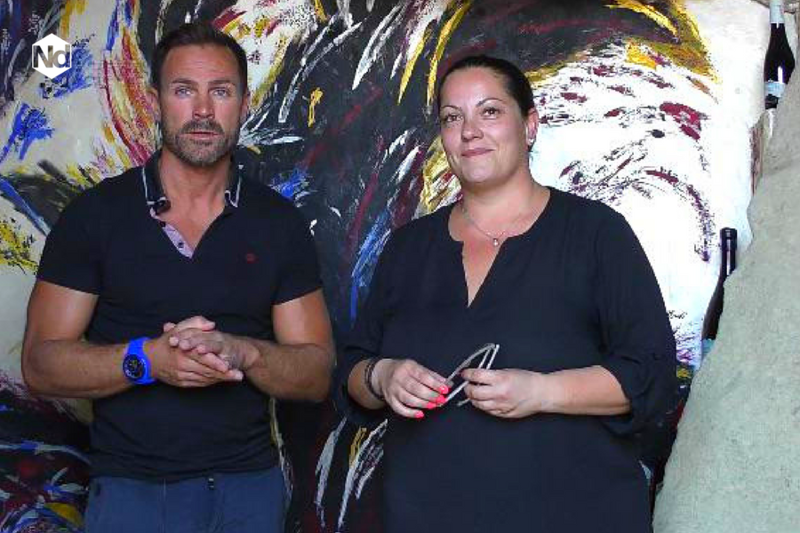 Patrizia is one of the 750 members of Le Donne del Vino and boasts that ‘it is not unusual to find female winemakers in this region, and we all have a very strong bond in the world of wine”. Patrizia only grows two grape varieties Aglianico (indigenous black grape) and Pierdirosso (red wine grape speciality of the Campania region) carefully crafting a bold rosé called ‘Vita Menia’ and a magnificent red called ‘Raggis’. The Vita Menia very much reflects the winemaker, and Patrizia even says that, “it has a very strong character – like me”. It is certainly is an impressive and unique rosé, extremely bold in its colour and on the palate. It is absolutely delicious and quite unlike any other that I tasted on the Amalfi Coast. Le Vigne Di Raito produces 1,500 bottles of the Vita Mania every year and is distributed locally in restaurants and hotel as well as internationally. In the production of this rose, this is a white wine vinification applied to red grapes. The grapes undergo a soft pressing and the must is cold settled and fermented at a temperature of around 18 degrees. It is then transferred in to oak barrels for 6 months, which gives this wine it’s beautifully strong character. This rosè has the acidity and freshness of a white wine, but the structure of a red. The soils of this region produce a stunning minerality within the wine and you really feel like your tasting the Amalfi coast with every sip. 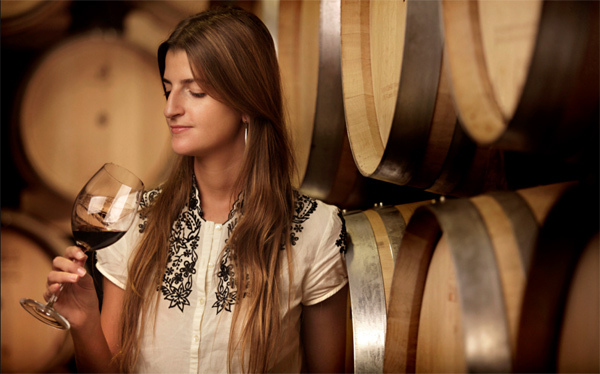 Benigna is the 3rd generation of winemakers in her family. It all began with her Grandmother also named Benigna, who started out with just one hectare growing vines and vegetables on the slopes of the active volcano Mount Vesuvius. After the World War II the estate expanded the vineyards and today covers 35 hectares within the National Park of Vesuvius. Benigna now continues the traditions of her Grandmother and produces some of the most distinctive wines in the world. The secret of the wines here can be found in soils of the vineyards on these southern slopes of Vesuvius. This one of the richest places on the planet for minerals such as iron, potassium, phosphorous and silica contained in the lapilli that litter this land. This is the volcanic material deposited during an eruption, which gives the wine of Vesuvius a unique character that set them apart from anywhere else world. grew that make Lacryma Christie. White Lacryma Christi is made mainly form Verdeca, Coda di Volpe, Falanghina and Caprettone grapes, whereas red Lacryma Christi is made from Piedirosso and Sciascinosso varieties. This is very special indeed, as this is the only sparkling Lacryma Christi on the Amalfi Coast. Production of this unique wine began in 2010, and vinification occurs at the end of August or the first part of September in order to preserve acidity, which is very important when making this sparkling wine. A long Charmat method (where secondary fermentation occurs in a pressure sealed tank rather than in the bottle) is implemented and the re-fermentation takes place in an autoclave for 10 months during which time the emphasis is on to creating fine bubbles complexity in its structure, flavor and intense aromas. As a result of the fine bubbles produced this spumante is from the vineyard’s Bollicine range which literally means ‘little bubbles’. It has a gorgeous light yellow colour and intense fruit aroma on the nose and the beautiful flavor from the Caprettone grapes really comes though. The name of the Caprettone grape (derived from the Italian which means goat), maybe related to the fact that each bunch resembles the beard of a goat. It is clean and fresh with a great acidity and wonderfully persistent on the palate. This is a brut sparkling wine and is the perfect accompaniment for meat and fish dishes. Lucia made a conscious decision to study viticulture and oenology and follow in the footsteps of her winemaker grandfather, Tommaso. She eventually took on the family tradition in 2009, but it was a very steep learning curve indeed. Lucia did her studying in Germany and therefore suddenly had to adapt her oenology to a completely different Island climate. Although faced with heat and drought Lucia has certainly made her mark on the landscape producing top quality wines from indigenous grape varieties grown in parched and greedy soils. “Wine is like a melody of notes made from aromas, sugars and tannins. Notes that only the few have the gift of knowing how to shape”. The volcanic outcrop of Ischia, in the Tyrrhenian Sea, has a 1000 year history with with wine dating back to the Romans who named it ‘Enaria’ meaning ‘land of wine’. The island has been perfecting the art ever since through of generations of heroic viticulture, producing some of the finest wines in Italy. The Mediterranean climate with a cooling sea breeze, unique volcanic soils and tufa stone favours the creation of these high quality wines, which are exported throughout the world. Winemaking has been one of Ischia’s most important economic resources since anciet times. The story Cantina Tomassone began 200 years ago and is still going strong today in the hands of 5th generation winemaker Lucia Monti. Cantina Tommassone, named after her grandfather Tomasso Monti, encompases 10.5 hectares of vineyards ranging from 250-450 metres above sea level. The vineyards yield 100,000 bottles per year mostly derived from indigenous and regional varieties. The island of Ischia is most well known for wine produced from the indigenous grape variety Biancolella. It has been grown on steep terraced vineyards in the region for hundreds of years and is known to produce dry, light, fruity wines with an almond finish. The wine Ischia Bianco was the first wine in the region of Campania to be given the D.O.C label (Denominazione di Origine Controllata) in 1966. D.O.C in Italian wines basically guarantees a specific geographic location and quality. It is produced from a mixture of grapes, principally Forestera and Biancolella (to which other which other white grapes can be added but no more than 15%). Once of Cantina Tomassone’s flagship wines is Terradei which means ‘land of the Gods’. This is made up to 50% Biancolella and 50% Forestera grapes. The wine undergoes a cold fermentation at 12 ℃ for 15 days and is aged in stainless steel tanks for 4 months and then in the bottle for a further month. This wine is characterized with a unique minerality from the volcanic terroir and Golden-straw colour with greenish reflections. This beautiful D.O.C wine is fresh and medium-bodied with delicate Mediterranean citrus aromas on the nose. It was a wonderful sepidity from the sea and a light fruity and floral aftertaste. The alcohol level is 10.5% and it ideal for accompanying fish dishes, pasta with sea ford or on its own as an aperitif. Mariarosario Setaro heads the 4th generation of winemakers alongside her husband Massimo at Casa Setaro situated in Trecase on the slopes of the volvano within the Vesuvius National Park. The vineyards are south/southeast at an elevation that ranges from 250-450 metres above sea level, boasting the highest vineyards on Vesuvius. The Setaro philosophy is based on quality and not quantity and the estate produces beautifully crafted wines from the indigenous grape varieties of Campania. The soils of Vesuvius consist of rich loose black sand littered with erupted lapilli, giving Casa Setaro wines a unique minerality. This volcanic sunstrate naturally protects the vines against the devastating effect of grape phyloxera (a microscopic aphid that lives on and eats the roots of the grapes). It is precisely because of this remarkable terroir that viticulture of Mount Vesuvius has developed with such importance, dating back to the arrival of the first Greeks from Thalassy. Only the best hand-picked grapes from the vineyards at 350 metres above sea level go into making this wonderful estate’s flagship wine. Fermentation takes place with skin contact for 12-14 days and then transferred to French oak tonneau (barrels) for two years. It is then kept in the bottle for a further 6 months before release. It has a beautifully rich garnet colour with dark fruit on the nose. It has a fabulously complex structure due to its time in the barrel with coffee, tobacco and chocolate tones against a unique mineral background. Very full bodies with elegant tannins and a long rich finish. Marisa Cuomo is fortunate that she calls one of the most beautiful places in the world home and fashions equally beautiful wines from her vineyards that dominate the landscape of Furore. The vines of this prolific vineyard literally grow out of the cliff face making Marisa Cuomo the bedrock foundation of viticulture on the Amalfi Coast. 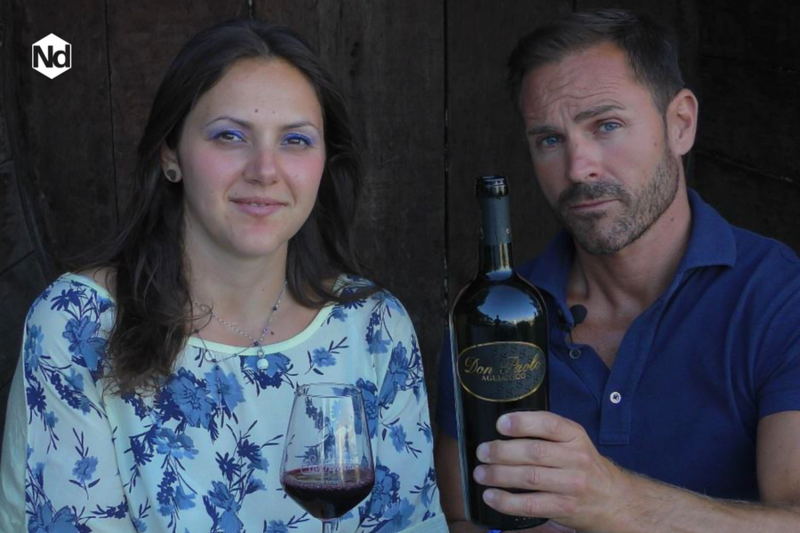 Marisa and her husband Andrea Ferraioli certainly stand out from with crowd within the Italian oenology sector. Marisa Cuomo’s vineyards were established in 1980 and span 10 heactares growing at heights of 500 metres above sea level often planted vertically in the Furore coastline. The cellar of Marisa Cuomo is carved in to the dolomitic-limestone rock providing the perfect place for the aging of it’s flagship wine the Furore Rosso Riserva. The vineyards from which this wine is produced are southerly facing and are range from 200-500 metres above sea level. The wine is aged in new French oak barrels for a minimum of 1 year and then for a further two years in the bottle. With rich ruby hues and aromas of black forest fruit the Furore Rosso Riserva is a fantastically smooth, full-bodied and well balanced wine. It glides down the pallet with an after taste of brushwood and spices. The Dolomitic-limestone soils give the wine a unique savoury minerality and it is a personal favourite of mine. So the future is bright and rosier than ever for the women of wine. There is now a celebration of women throughout the world including award ceremonies such as the Women In Wine Awards in Australia and collaborative groups like the WIW LDN (hello@womeninwine.co.uk) to encourage and support their successes. “We discuss and debate the main issues facing the wine industry such as innovation, improving communication to suppliers, and wine buying in a challenging economic environment. Being knowledgeable about today’s wine industry is very important in getting to the next level in one’s career, regardless of your gender. However, the forum which we provide allows women to network in a way that is hugely positive to their personal development”. So lets raise a glass to the women of wine!